Earlier this month I told you how I was saying NO to the drive thru. I pledged to not pick up fast food on my way home from school, ballet, soccer, PTA, etc. We are about half way through October and I am still going strong. Woo! How have you done? I shared 15 recipes to get dinner on the table in 30 minutes or less and I promised I would be back to share more recipes to get you motivated to skip the drive thru too. Boy am I delivering on that promise! 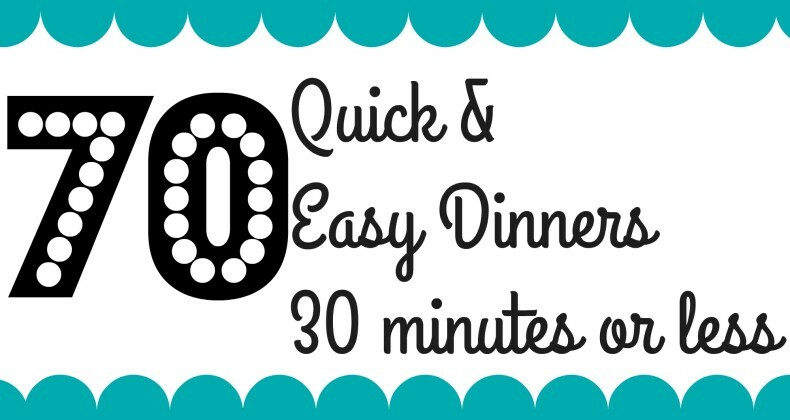 I asked some of my fellow food bloggers for their favorite quick and easy dinner recipes and in total I have gathered 70 different recipes that will get dinner on the table in less than 30 minutes. There are no more excuses! You can do this! 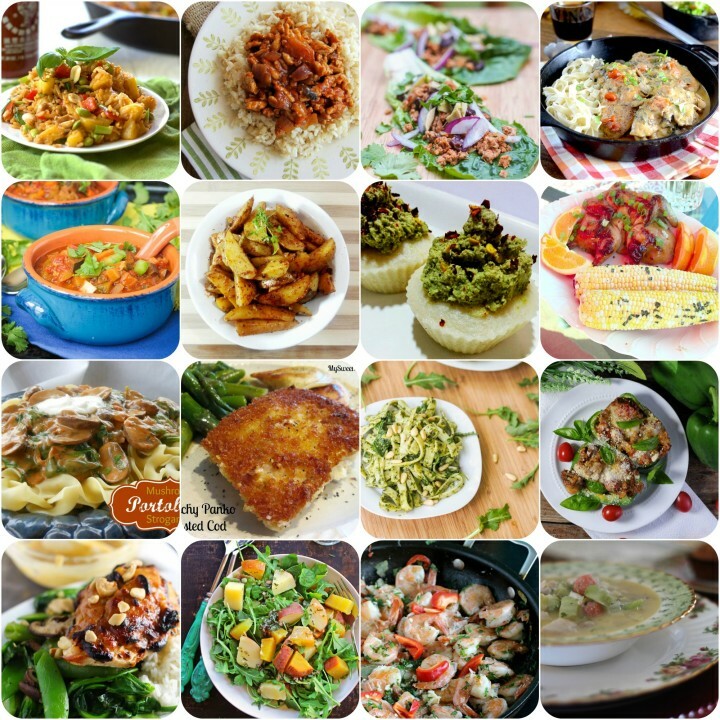 Today’s round up is full of all different recipes inspired by cuisines around the world. 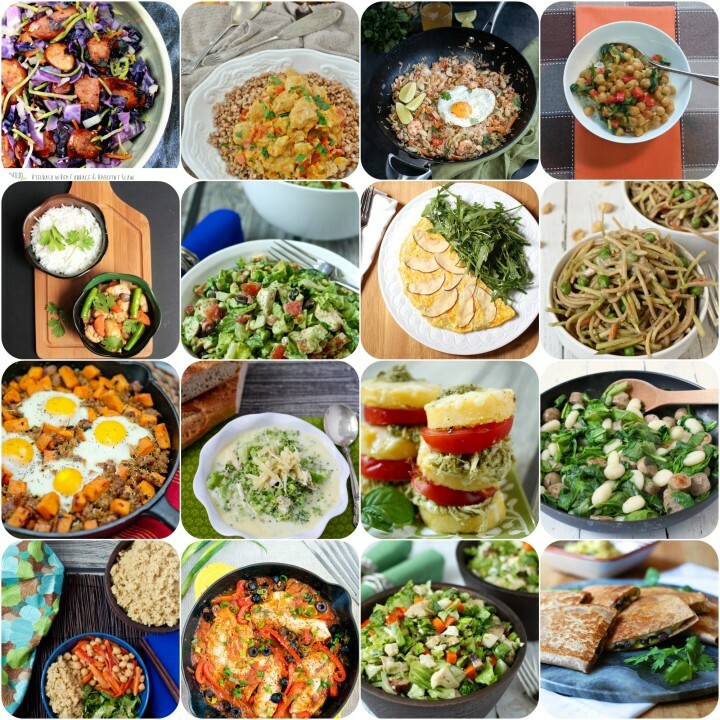 There should be a little something for everyone here, vegan, vegetarian, gluten free, paleo are all represented in this round up. Let me know what are you doing to avoid the drive thru? Wow! What an amazing roundup! No one should ever have the excuse of “l don’t have time” anymore!! Sharing! And thanks for including several of my recipes!! Wow…awesome “roundup”….lots of inspiration….so many choices. Thanks for including my recipe!! Thanks Gloria! Almost two and a half months worth of dinners. What a great recipe roundup!! 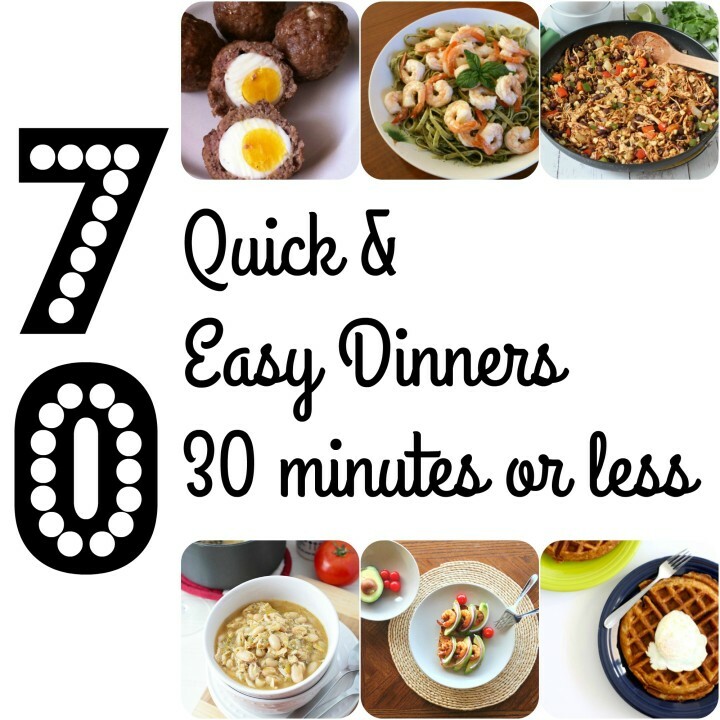 Love all the recipes here – quick & easy are my favorite dinners! 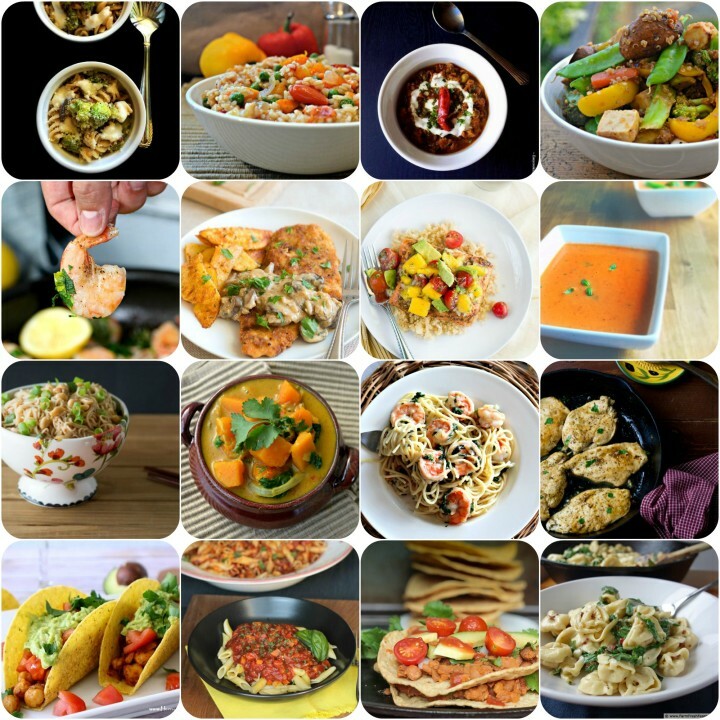 Thanks for featuring my recipes! You’re welcome Neli! I think we all could use some inspiration like this. 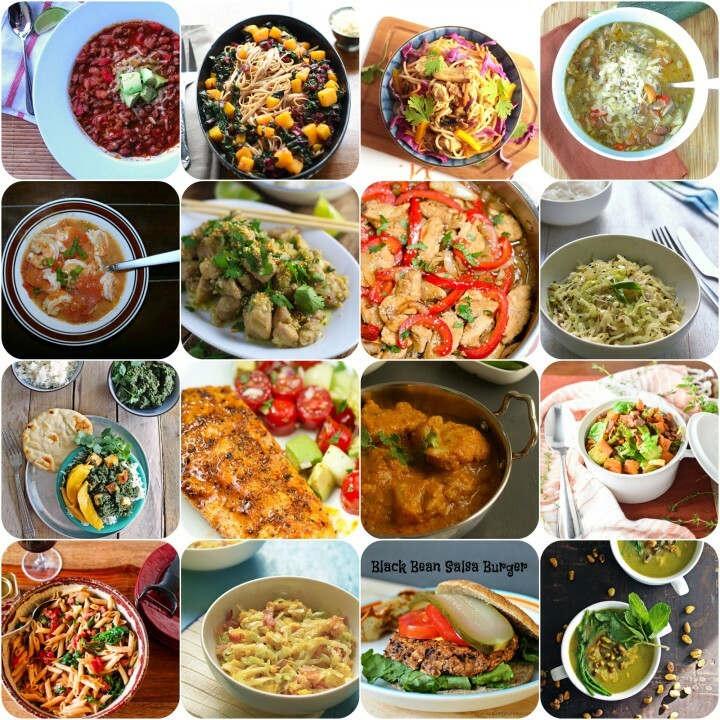 So many delicious recipes here! Thanks for including my Mexican Turkey Taco Lettuce Wraps!! Pinned! Thanks for all the suggestions with links Jaime. There are several I’d like to try. I’ve been avoiding fast food like the plague for several months now. Home cooking is by far better. Slow cooker and easy meals have saved me more than once. Great!! Wow at 70. Pinning for my own reference for when I’m short on time. Thanks for adding my chickpeas tacos!! Thank you for sharing. This will be such a great reference in the future! You’re welcome. I know this is motivating me to stay on track!